Hello everyone! Today I am honored to have a guest post featured on Three Pipe Problem. 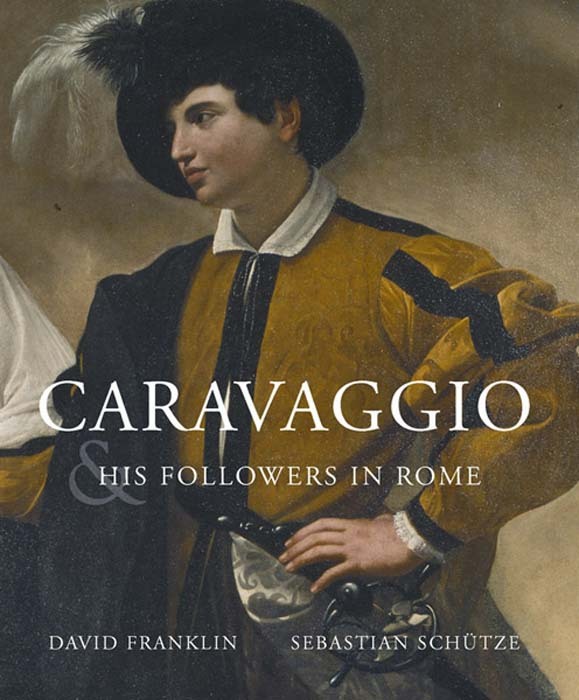 I recently received a copy of the new catalog Caravaggio and His Followers in Rome. 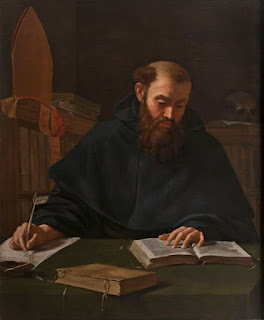 My post covers information from the catalog (and elsewhere) regarding the attribution of a new Caravaggio painting, Saint Augustine (c. 1600, see left). Please take a look! Enjoy! Image credit: Public domain image from Wikimedia Commons. 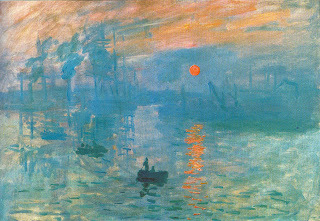 I was surprised to learn recently that Monet’s famous painting Impression: Sunrise (dated 1872, shown right) was stolen from the Marmottan Museum on October 27, 1985. 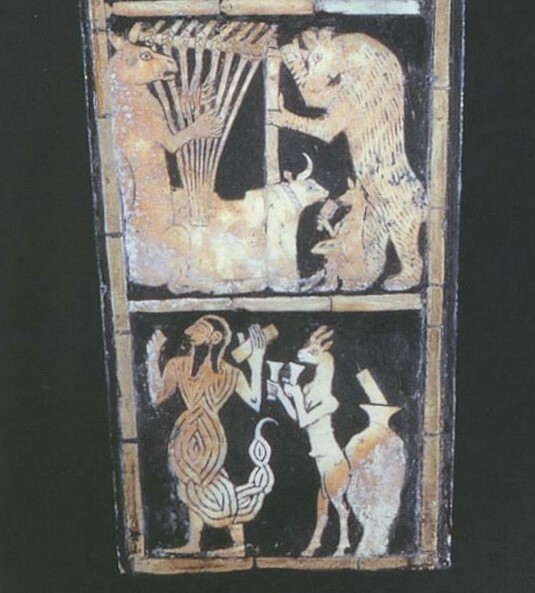 Seven armed men forced museums visitors and a guard to lie on the floor while they stole this painting and eight other works. 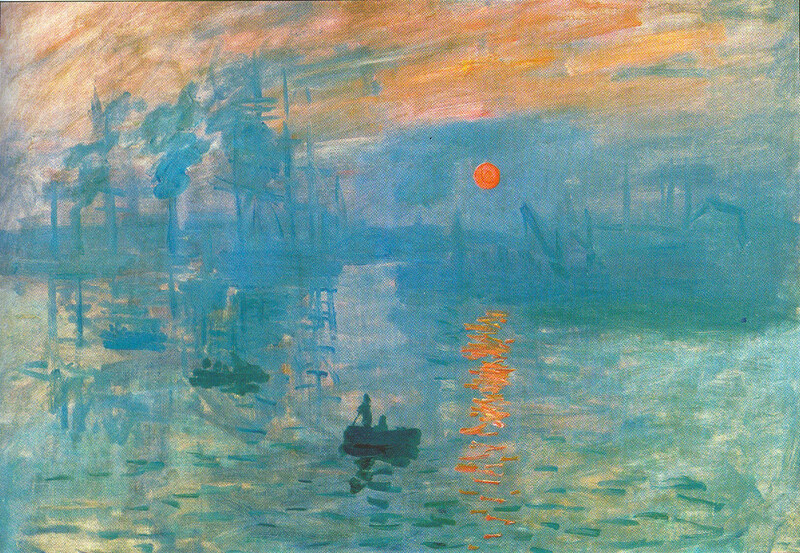 Impression: Sunrise was recovered in December of 1990 and went back on display at the Marmottan in April 1991. As I’ve thought my surprised reaction, I’ve realized that much of my knowledge about Monet’s painting comes from art history textbooks. And, on the flip side, I’ve realized that most of my knowledge about art crime doesn’t come from standard art history textbooks. I usually learn about art crime from online sources (like the blog “Art Theft Central”) and popular history books like Lopez’s The Man Who Made Vermeers or Charney’s Stealing the Mystic Lamb. (And, speaking of Charney, I look forward to reading his new book on the thefts of the Mona Lisa). Is there something about art crime that doesn’t appeal to academia at large? Is art crime too base of a topic for art historians? Will a work of art be demystified if it is connected with crime? Isn’t it okay if a work of art is demystified? Art crime is intrinsically linked to the art market. Does art history want to disassociate itself from the art market? 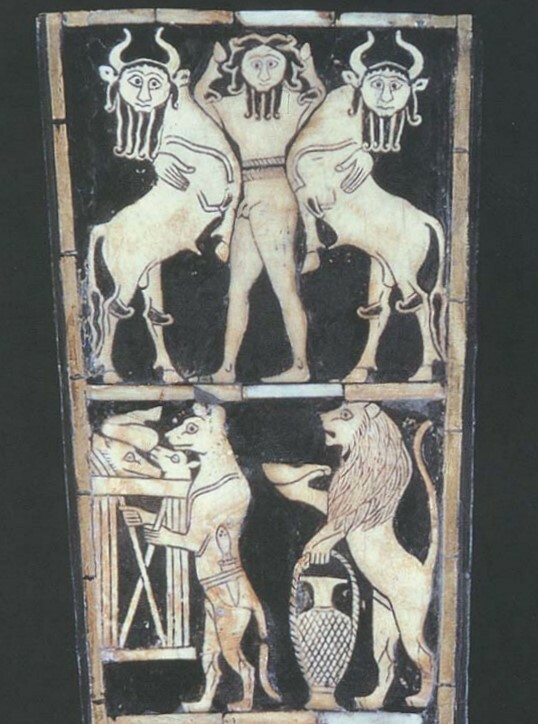 Do scholars (and their book editors) feel like there isn’t room for a discussion of art crime in survey texts? Am I just looking at the wrong kinds of art history textbooks? Are there textbooks out there that incorporate a good discussion of crime along with other general aspects of art history? I feel like there are a lot of art historians and art history students that are interested in art crime, but I don’t feel like there are enough academic publications to support my hunch. I definitely feel like there is a place for art crime in the classroom, though. I get very positive feedback from class lectures that include some information about theft, forgery and looting. Maybe art crime is like crime itself – it needs to be learned “on the street” or by word of mouth! From what I can tell, it looks like Noah Charney’s program for a Master’s in Art Crime involves a lot of classroom discussion and lectures from experts on the topic, not a lot of textbook reading. Enjoy your subscriptions! Smithsonian is a fantastic magazine. I’ve enjoyed my subscription for several years, and I’m pleased to share Smithsonian with others.